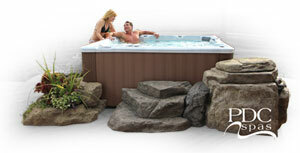 John’s Pool Supplies is your destination for sales, service, installation of pools, pool supplies, and hot tubs. With over 30 years of experience and a large selection of products, we are the experts in keeping you cool this summer! Stop in and speak with our friendly and knowledgeable staff about your next pool, hot tub, or accessory purchase. Need advice on how to keep your water clean, or how to open and close your pool or hot tub each season? We can help you. We can even test your water for FREE while you are here! We offer sales and installation of above ground pools, below ground pools, and hot tubs. Additionally, we offer a large selection of pool supplies, chemicals, and accessories to help you enjoy your pool or spa.